Workman’s compensation is a system put into place to pay injured workers to compensate medical bills due to injuries incurred on the job. That can also include anyone who gets an illness or becomes sick because of a work related issue. The laws governing workman’s compensation vary slightly from state to state. However, there are a few instances in which most injured workers always receive compensation for their injuries. Most any injury that happens while the employee is at work is covered under the workman’s compensation law. 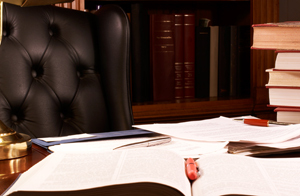 There are cases of injury related to work that will not be compensated. An example is an employee having an accident on the way to work. While it is true that commuting to work is an essential part of the job, nothing that happens during this commute can be covered by workman’s compensation. Heavy shipping in and out of the bay gives San Francisco some of the heaviest trucking traffic in the state of California. This increased trucking traffic also increases the number of big rig accidents. Unfortunately, these types of accidents are commonplace in high trucking traffic areas like San Francisco. As commonplace as they can be, it’s a whole different story when you’re involved in one yourself. 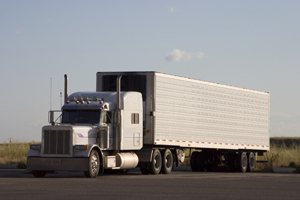 There are five most common causes of big rig trucking accidents. Tired driving, aggressive driving, distracted driving, inexperienced drivers and failure to maintain vehicles are some of the most common reasons large trucks wreck. Truck drivers are notorious for driving long hauls without the proper sleep. Trucking companies often slave drive their workers and demand they make these types of hauls but other drivers just take it upon themselves to employ these unsafe driving tactics. Perhaps they need the money or maybe some type of drug is involved. Whatever the reason, tired truck drivers cause accidents.